Anyone in their 20s or 30s is likely to have owned a pair of pedal pushers, but most of us retired these just-above-the-knee trousers along with our Polly Pockets as soon as we hit double figures. Even Princess Diana wore them in the 1980s, with a white shirt and a red jumper looped around her shoulders in a Kensington knot. Needless to say, the Instagram set is trying to make like Princess Di with this unexpected denim trend. Yes, they can be an unflattering, awkward length, but the influencer set is diving right in. Pernille Teisbaek and Leandra Medine have both styled them in a similar way, pairing their pedal pushers with a black tailored blazer and a black belt (that way, your eyes go toward the waist rather than the knees). Keep scrolling to see how to wear pedal pushers the 2018 way. 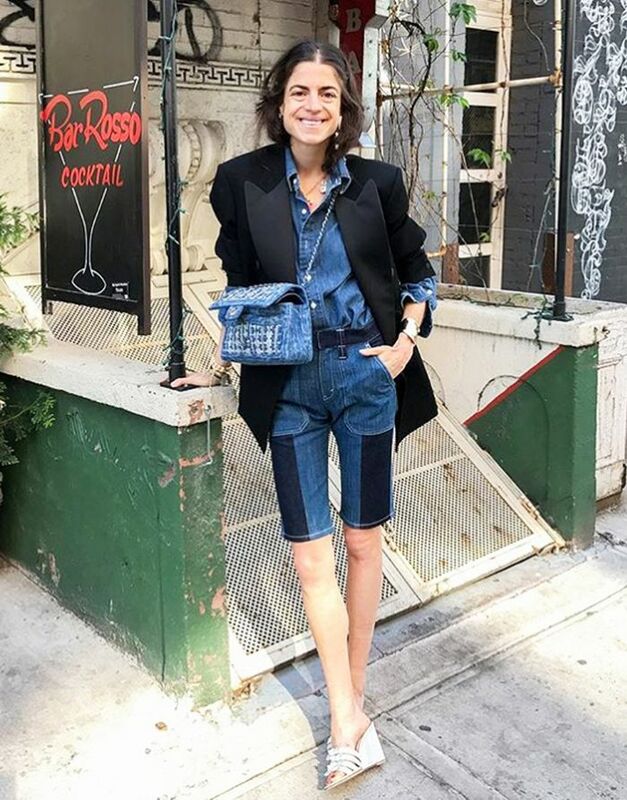 Style Notes: Leandra Medine tackled two tricky denim looks at once, testing triple denim and pedal pushers. She wore her Chloé patchwork pedal pushers with a coordinating denim shirt and denim Chanel handbag. Style Notes: Pernille Teisbaek wore her denim pedal pushers with a simple white T-shirt, a black blazer and a tan handbag. She labelled this her "office look." Feeling like pedal pushers aren't for you? See our guide to the year's more conservative denim trends.